I found in my yard. Ammonite? I can't see enough detail in the big fossil to be of much help with identification. 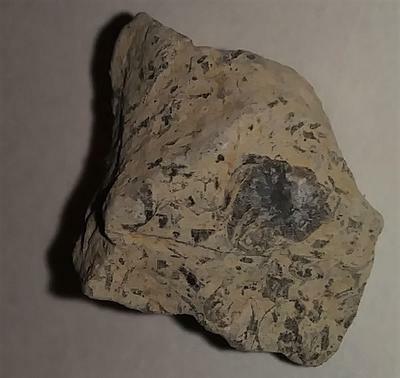 But it looks like you have a piece of fossiliferous limestone with lots of fossil fragments. Try putting a little vinegar on the rock. If it is limestone it should fizz. Ammonites are pretty common in Texas so your guess of ammonite could be right.